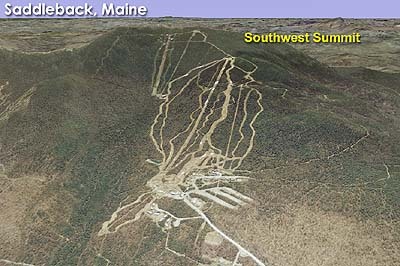 Soon after Saddleback was sold to Donald Breen in 1978, plans for upper mountain development were announced. 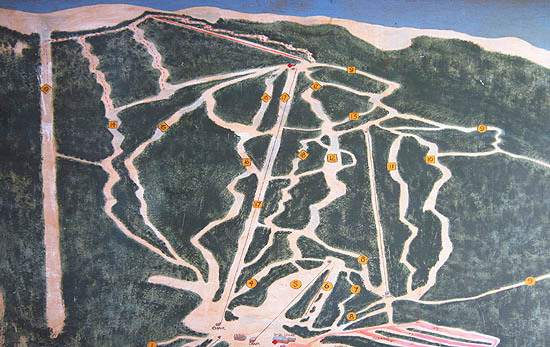 Initially, a 2,000 foot lift, running from the top of the main chairlift to the summit ridge, was put on the 1979-80 trail map, in addition to 4 new trails. Though advertised as a summit area, the complex would have extended to subpeak to the southwest of the summit of Saddleback Mountain. 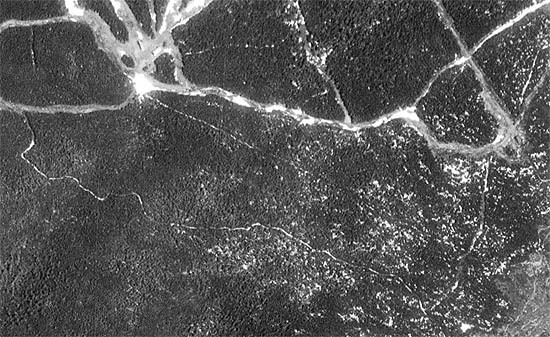 Initial clearing likely took place, however at some point plans were changed and the Kennebago Area was built instead. The southwest summit area was still apparently part of the plans, however it was never fully developed. The present day America trail cuts through former proposed area.